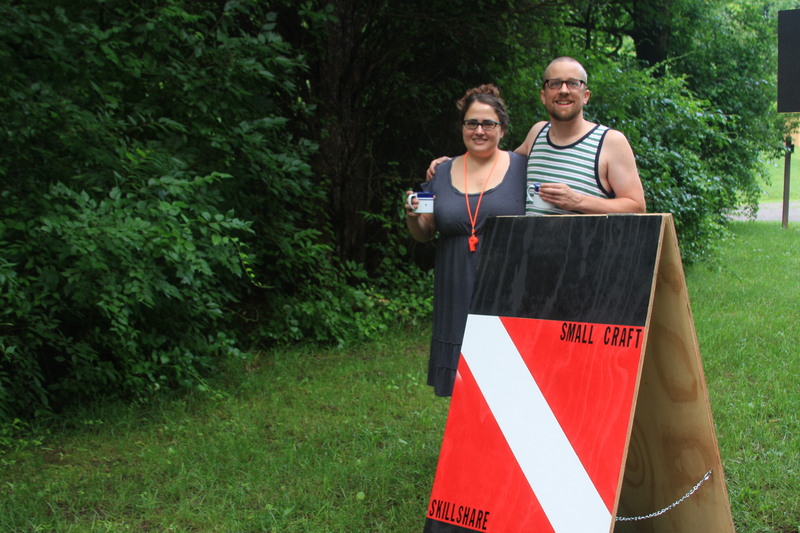 “The dream will come to life.” That was our prediction for the first Craft-A-Way Camp. And anyone who was there will tell you: that’s exactly what happened! 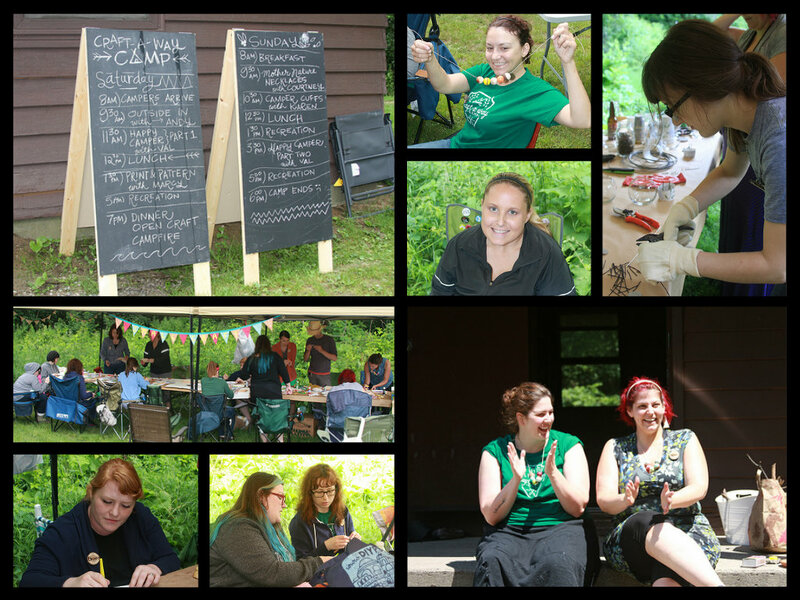 We’ve long dreamed of a camp where crafters could gather to meet new friends and learn new skills. Like flying, it’s a dream that’s shared by many. How surreal, then, to wake up and find ourselves hiking through real woods, singing around a real fire, and crafting with real friends. It all seemed too good to be true! Waterloo Recreation Area was a lovely setting for our waking dream. (Although some might say our site’s vault toilet was more of a nightmare!) From the wooded trails at the start of our adventure, to the cool lake at the conclusion, the park was even better than we had hoped. Our instructors also exceeded our expectations. Andy Sell’s nature hike transformed our understanding of the Michigan landscape. Val Willer gave us all a new addiction to painting and wrapping sticks. 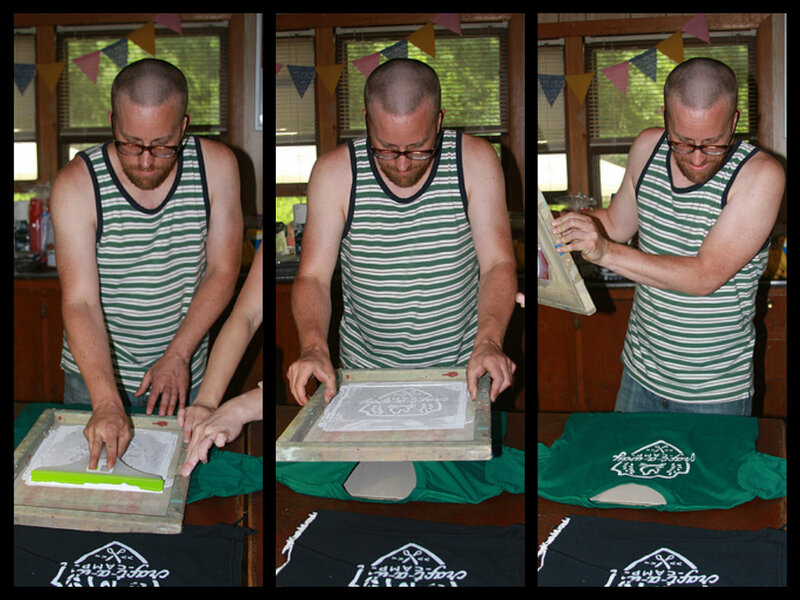 Marcy Davy taught us that we could print our own t-shirts. Courtney Fischer showed us how to make lovely keepsakes from paint and wooden beads. And Karen LePage helped us to express ourselves with needle and thread. We avoided corporate sponsors, but we did enjoy working with our creative friends. The beautiful custom notebooks we ordered from Phantom Limb were appreciated by all, as were the adorable bookmarks handmade by Courtney Fischer. 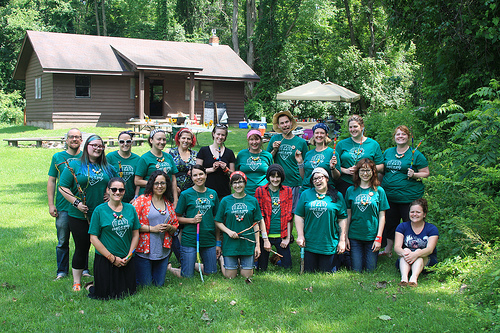 The stained glass necklaces, donated by Carey Gustafson of Glass Action!, made wonderful awards for our most spirited, resilient, and, um, dedicated campers. And it was a great moment when Joel Panozzo of the Lunch Room appeared at our potluck with a plate of tasty vegan reubens! 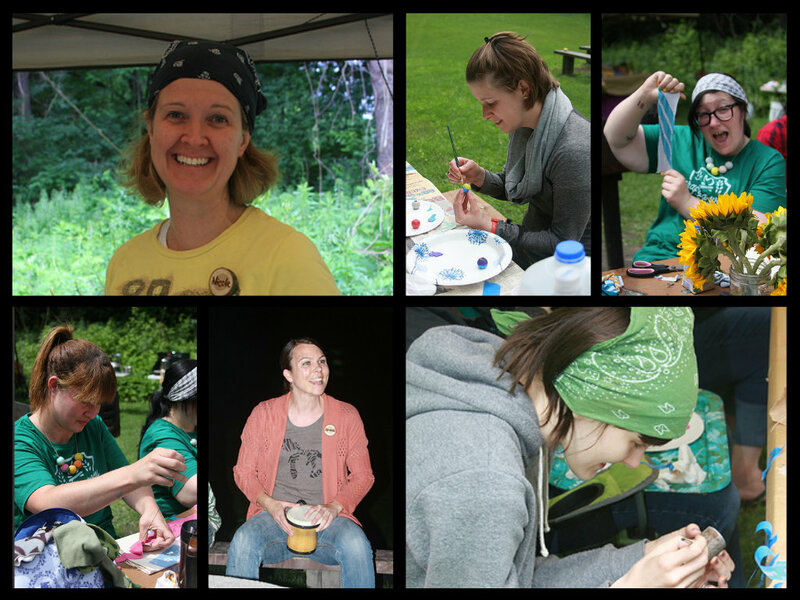 We are grateful to our instructors, and to all who worked to make Craft-A-Way Camp so special. But most of all, we are grateful to our fellow campers. Some we knew from past Small Craft events. Others, we were meeting for the first time. But after a weekend at Craft-A-Way Camp, we love and miss them all. Everyone left their defenses and cares at home, and all were rewarded with a group of instant yet enduring friends. Off-key singing and close sleeping quarters were endured. Roasted marshmallows and beet-infused vodka were shared. Inside jokes and bawdy humor ran wild. And we spent hours and hours crafting together! 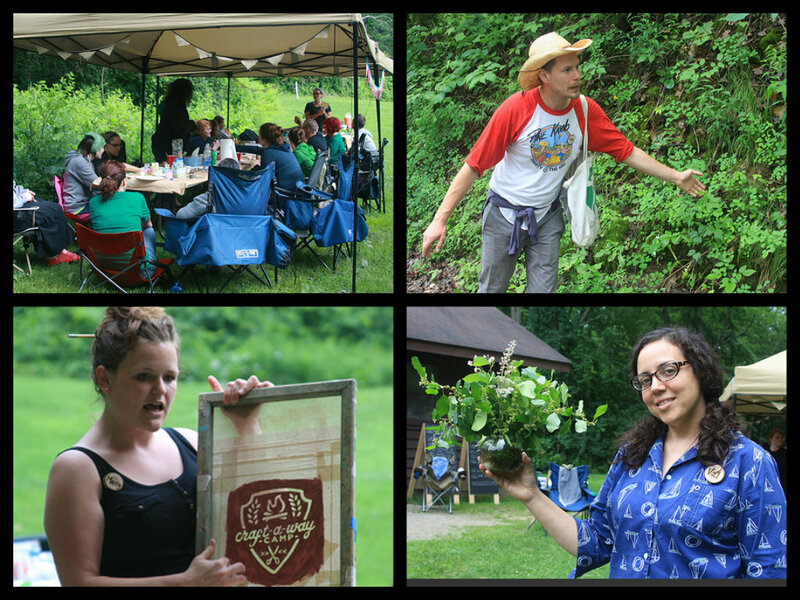 Underlying Craft-A-Way Camp is an older, deeper dream: the dream of a handmade community. Of friendships rooted in crafting, and crafts rooted in friendship. We catch a glimpse of this community at every Small Craft event, but to be part of it for an entire weekend was a rare and beautiful experience. 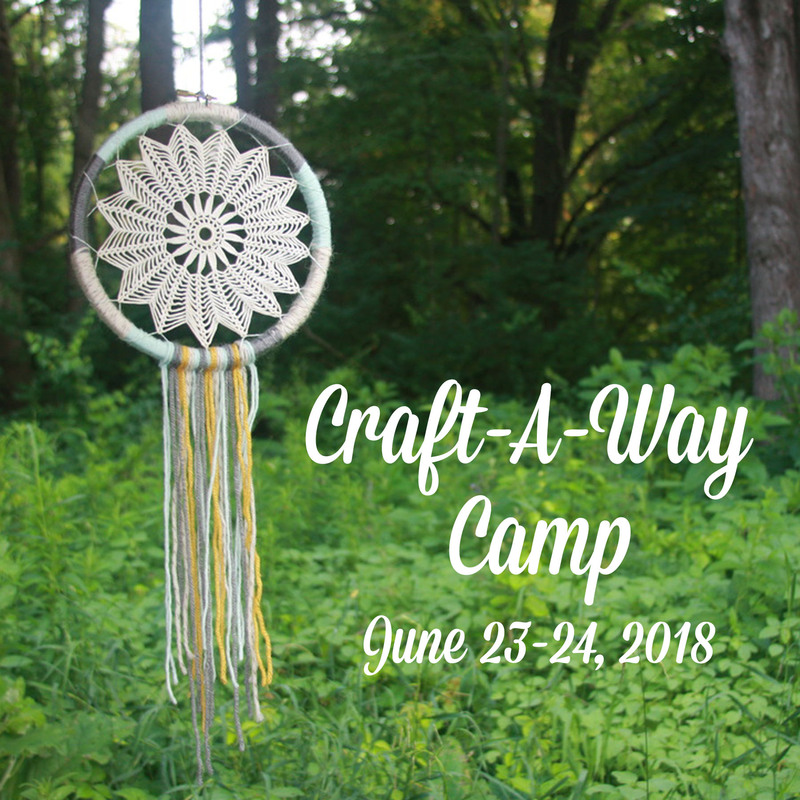 We hope you’ll be part of next summer’s Craft-A-Way Camp. (There’ll be more information soon!) And we hope you’ll keep working with your friends to bring all your deepest dreams to life. Where can I find the info on the next camp? I’d love to join! Thanks.